Lulu Group, a retail giant in the Middle East, has further expanded its presence in Bahrain by opening its latest hypermarket in the newly opened Atrium Mall in Saar. 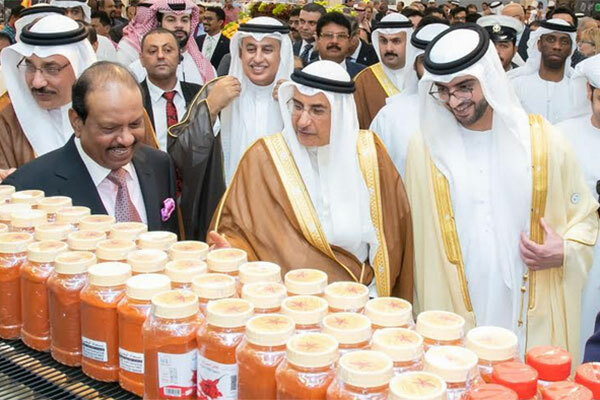 The new hypermarket which is also 7th in the country was officially inaugurated by HH Shaikh Khalid bin Abdullah Al Khalifa, Deputy PM of Bahrain in the presence of HH Shaikh Sultan bin Hamdan bin Zayed Al- Nahyan, UAE Ambassador to Bahrain, Shaikh Khalifa Bin Daij, President of Crown Prince Court, HE Zayed Al Zayani, Commerce & Industry Minister, H. Jamil Humaidan, Labour Minister, HE Kamal bin Ahmed Mohammed, Minister of Transportation & Telecommunications, Ambassadors of India, UK and a number of other dignitaries. “Our total investment in the Kingdom of Bahrain has already crossed BD125 million with seven hypermarkets and one mall. Apart from this, our state-of-the-art logistics center spread around 400000 sq ft, and trading & distribution through the center not only supports our retail expansion but also help in ensuring food security. Our expansion plans are firm and we will open our new project in the Muharaq Central Market by second quarter of next year,” added Yusuff Ali. “Our growth in Bahrain is powered by the vision of the leadership, the business-friendly economic environment and the ability of our Bahraini employees to absorb and fit into the Lulu service model which puts customers above all. We thank His Majesty King Hamad bin Isa Al Khalifa, HRH Prince Khalifa bin Salman Al Khalifa, the Prime Minister and HRH Prince Salman bin Hamad Al Khalifa, the Crown Prince and First Deputy Premier and the people of this great country for encouraging us in all our expansion strategies and efforts in Bahrain,” he noted. “Our strong Bahraini work force forms the nucleus of our operations here in the Kingdom and is a key to our success,” he said.